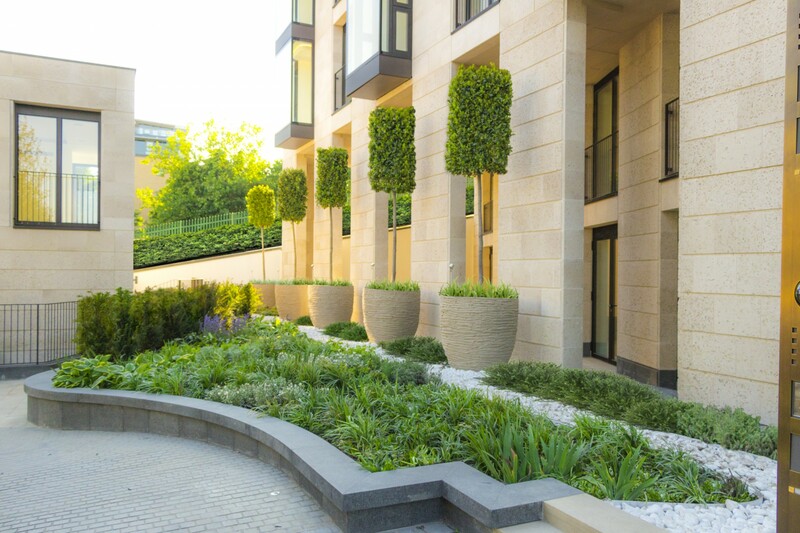 Scape successfully obtained planning permission in the highly constrained & sensitive location; providing full design services & construction review. 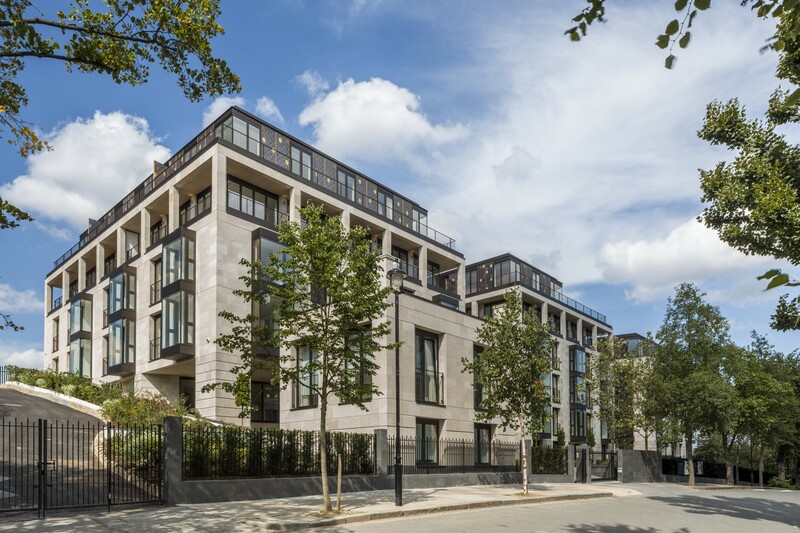 Situated in the heart of Primrose Hill conservation area and overlooking Regents Park, the luxury new build development offers park side living at its most exclusive. 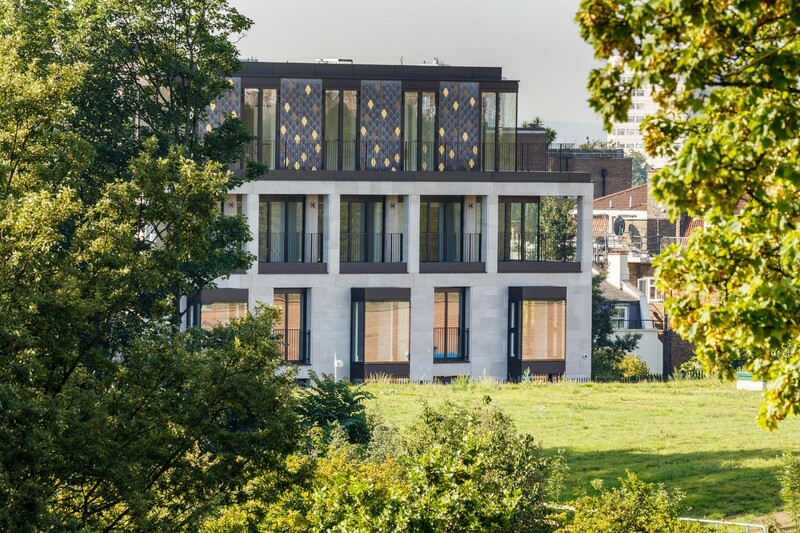 Three elegant blocks of six, seven and nine stories form a private retreat next to London’s unique bustle, surrounded by acres of green space. 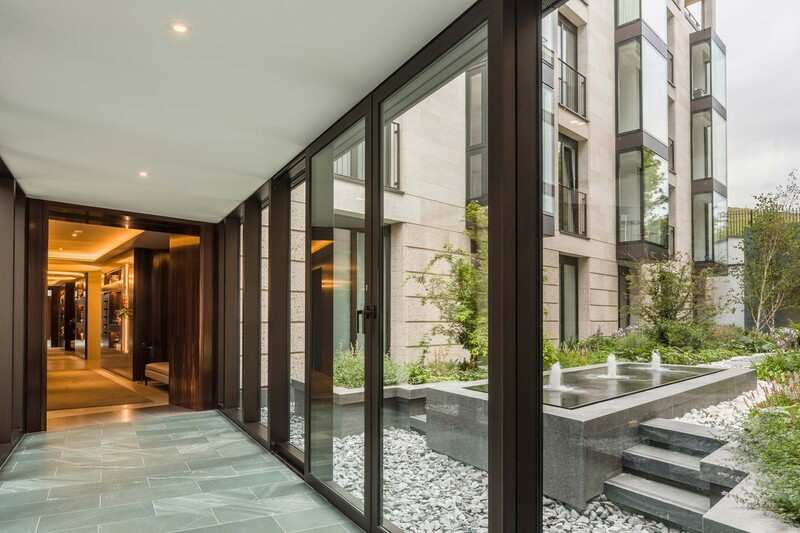 Clad in serene stone and bronze, the slender building forms are designed to respond to the ‘Regency’ proportions of the local context and incorporate landscaped courtyard gardens and green roofs to provide outdoor amenity space and a focus for residents. 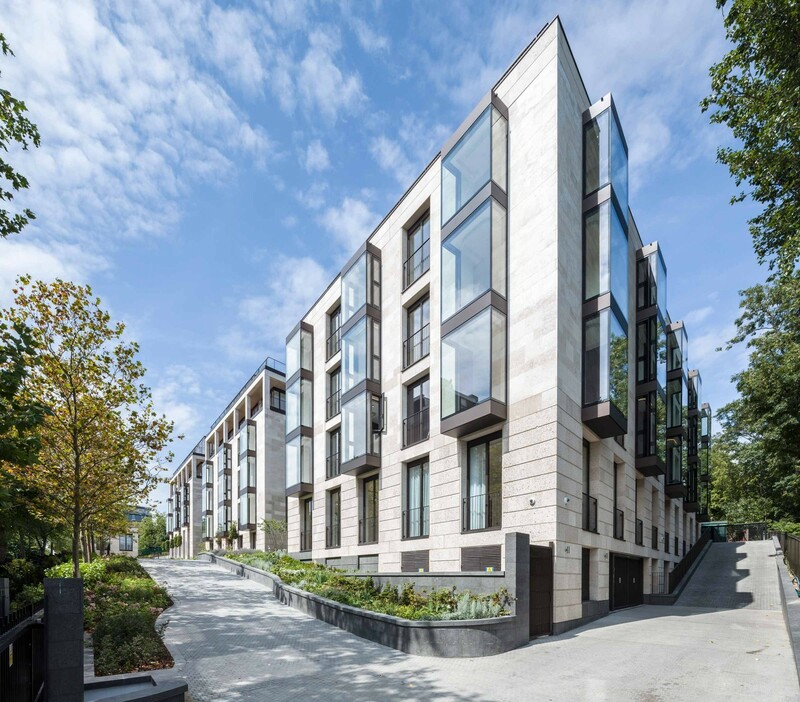 36 luxury apartments and one townhouse. Target Code for Sustainable Homes Level 4. 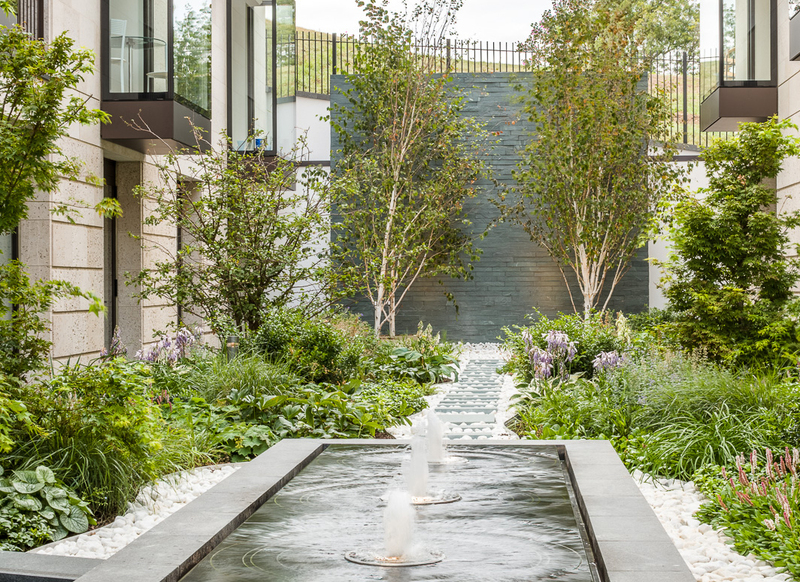 ‘Mews’ spaces designed as verdant courtyard gardens . Rainwater harvesting for irrigation of gardens. Extensive acid grassland green roofs create wildlife habitats and energy saving benefits. 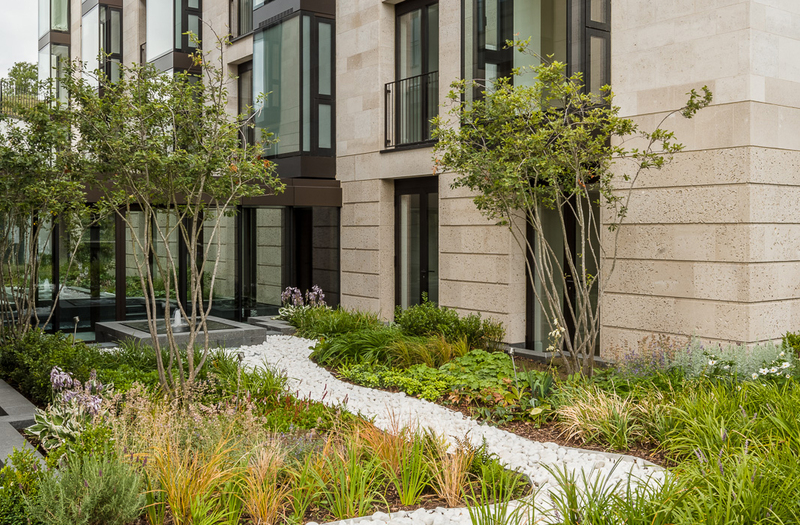 17% of scheme energy provided via renewable rooftop photovoltaic cells and ground source heat pump. 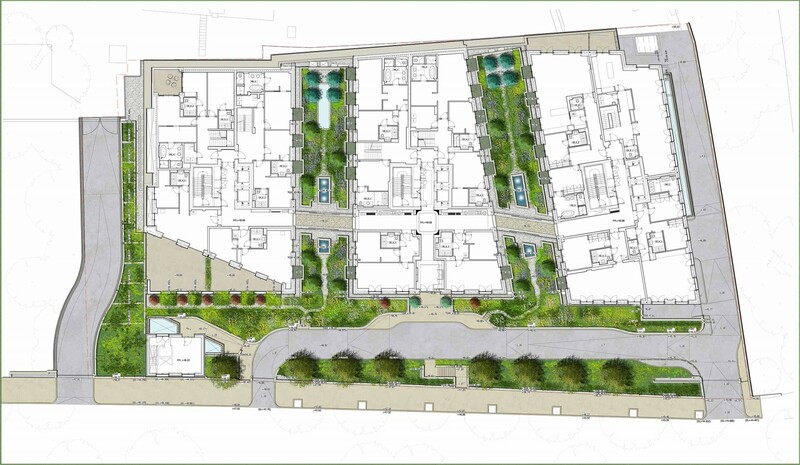 Provision of Waterfeature & Irrigation M&E Design.